Making the decision to file for bankruptcy is often a difficult choice. It is never a goal set on your life’s “bucket list.” That is why there are procedures in place that help individuals who find themselves stuck in a financial trap looking for a means to escape. So now that you have committed to asking for relief that only the bankruptcy court can provide, the next decision is which chapter is right for you. Chapter 7 bankruptcies are basically a straight “wipe out” of debt with some exclusions. Exclusions tend to be areas where you may owe the government money in some fashion, such as child support, income tax liabilities, or student loans. Also, if you have any asset valued over and above what the Bankruptcy Code will allow you to protect, the trustee will liquidate the asset and use the proceeds to divide evenly among your creditors according to some basic guidelines. Debtors in Chapter 7 bankruptcy may keep certain obligations, such as homes and cars, as long as they are current on the payments, have full coverage insurance on the asset, and can afford the monthly payments. Chapter 13 bankruptcies, on the other hand, are repayment plans where you are paying pennies on the dollar depending on what you can afford. Chapter 13 bankruptcies are most frequently used to save homes from going into foreclosure or to restructure vehicle payments where the vehicle is now in danger of repossession. These repayment plans can go anywhere from three to five years, depending on the nature of the debt and how much money it will take to remedy the situation. Sometimes Chapter 13 bankruptcies are used for debtors who have some money to pay creditors, but not enough to pay all the creditors everything the creditor wants. Each Chapter 13 plan is drafted on a case by case basis, as every repayment plan is unique to the debtor. If you have filed for bankruptcy under Chapter 7 in the past, you may not be eligible to file another Chapter 7 petition just yet. Currently, you may file a subsequent Chapter 7 petition eight years after the filing date of the previous Chapter 7. If you start struggling with your creditors again during this period, a Chapter 13 repayment plan may be the best option for help. Chapter 13 plans may also be used to help you keep and protect an asset that you may have lost had you filed a Chapter 7 petition. Lastly, while you cannot discharge certain liabilities, such as child support or student loans, in a Chapter 7, you may find an easier payment method through the Chapter 13 Plan of Reorganization. Chapter 13 plans are not set in stone, though. As attorneys, we realize that life happens, and sometimes the repayment plans we draft to save our clients homes do not account for the same homes being blown away in a tornado or having the basement fill with eight feet of water. In these situations, if the debtor has decided to walk away from their homestead, or what’s left of it, the Chapter 13 Plan may be converted to a Chapter 7 with a little additional paperwork and a hearing. 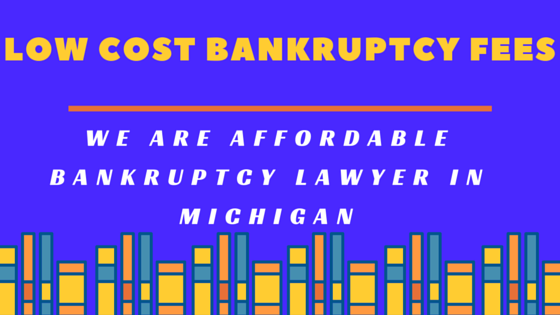 The best way to figure out which chapter is right for you given your circumstances is to make an appointment for a free consultation with A Better Way Bankruptcy. We can help you determine what the plan payment would be in a Chapter 13, or if Chapter 7 and it’s almost immediate “fresh start” are right for you. As your personal bankruptcy attorneys, we care about you as an individual. As long as you keep us informed of your situation, we will counsel you on how best to proceed in the future. Let our over 40 years of experience guide you through these tough times to find that light at the end of your tunnel.